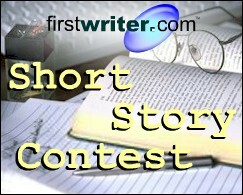 The deadline for firstwriter.com's Sixth International Short Story Contest has been delayed by one month to May 1, 2010 to allow for last minute entries. The winner of the competition will receive a cash prize of £200, or the equivalent in your currency (that's around $400). Not only that, but there will also be ten special commendations awarded. All eleven winners will be published in firstwriter.magazine and receive firstwriter.com vouchers worth $30 / £20 / EUR30. These vouchers are enough to cover the cost of creating an annual subscription to firstwriter.com, allowing access to our daily updated databases of over 150 writing competitions, over 850 literary agencies, over 1,200 book publishers, and over 1,200 magazines – as well as the option to receive daily alerts by email of new and updated listings which match your interests. Short Sharp Shock is a new digest dedicated to publishing novellas, and is seeking fast-paced, seamless, popular fiction. For over 1,200 other publishers, click here. For over 1,200 magazines, click here. The BookRix free fiction contest invites your best works of fiction, of any type, at least 20 pages long. Prizes include $1,000 for first place, $500 for second, and $300 for third. To enter, join the site (for free) and submit your entry before May 10, 2010. For details click here. The 4th Annual Ted Walters International Short Story, Poetry and Playwriting Competition 2010 is now accepting submissions. Full details and online entry are available at http://www.the-village.co.uk/tedwalters.htm. A London-based couple have just launched www.smories.com, a free website for kids to watch little films of new stories being read by other kids. publication for many aspiring writers. attracting the most traffic on the site will win the prize. For more details go to www.smories.com. Author Stewart Ferris has launched a new blog site to track his progress as he redrafts his 166,000 word novel, The Sphinx Scrolls. Ferris is co-owner of the award-winning book publisher Summersdale, and although his novel was begun 14 years ago and a first draft was complete as long ago as 2003, the demands of his fast-growing business meant that the book had to be set aside since then. However, he is now taking a 90 day sabbatical in order to complete the redrafting process, with the goal of producing a publishable text by May 31, 2010. "I set up this blog so that writers can follow my progress as I redraft this novel time and again," said Ferris. "Each sweep through the book will focus on different aspects of its structure, language, dialogue, characterisation, historical accuracy, readability, pace, and plot twists. I won't give away the whole story, but I'll let out enough hints about the plot so that anyone can follow the project in a meaningful way." Ferris has written books on the subject of being a writer and getting published, and is known for repeatedly making the point that a common difference between published and unpublished writers is the number of drafts produced. He believes that too many unpublished writers finish a first draft and think it's publishable. "Published writers know that a first draft is like the bare bricks of a house," he explains. "You wouldn't expect someone to enjoy living in it until the plumbing and electrics are in, the walls are plastered and painted, and the carpets and curtains are fitted." Connecticut Press Club is holding an event featuring several literary agents on April 1, 2010. Admission: $40 for non-members and walk-ins. The program includes a three-course dinner. Reservations recommended, but walk-ins always welcome. Call +1 (203) 968-8600 or e-mail ctpressclub@gmail.com.